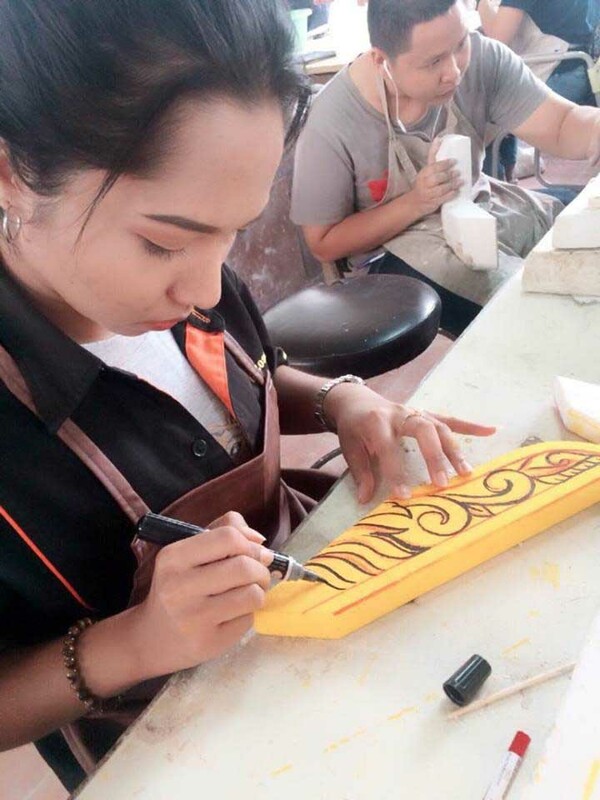 Pottery Program students from Department of Design Art and Technology, Faculty of Fine and Applied Arts, Rajamangala University of Technology Thanyaburi (RMUTT), design and make pottery for their final project, using the knowledge learned during the four years of study, to produce One Product from One Idea work. 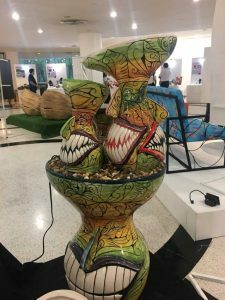 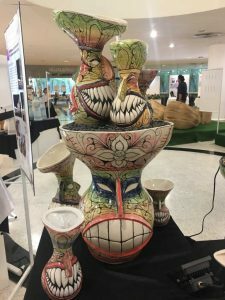 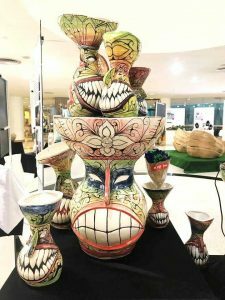 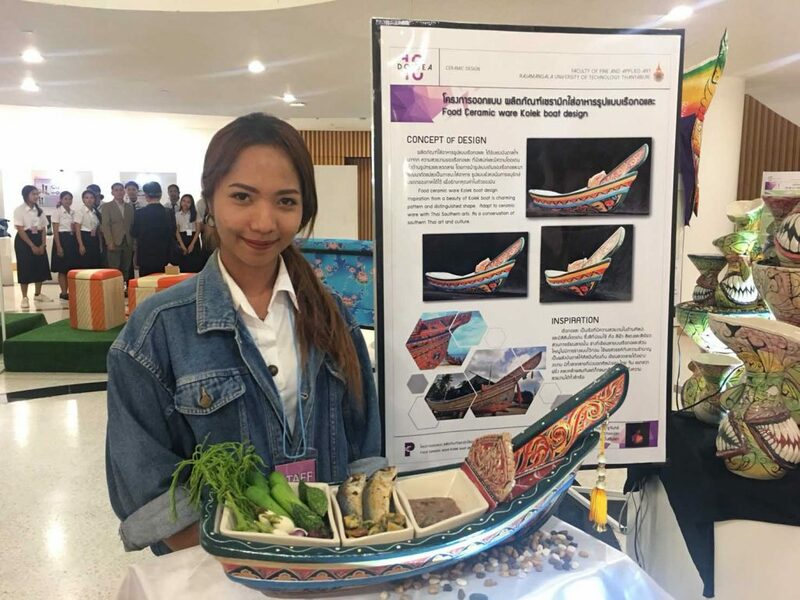 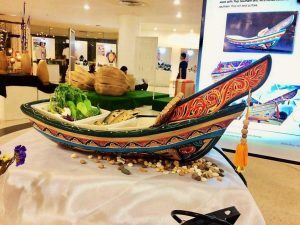 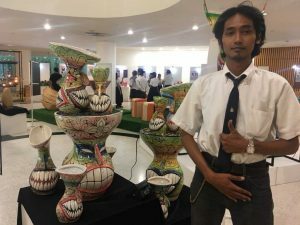 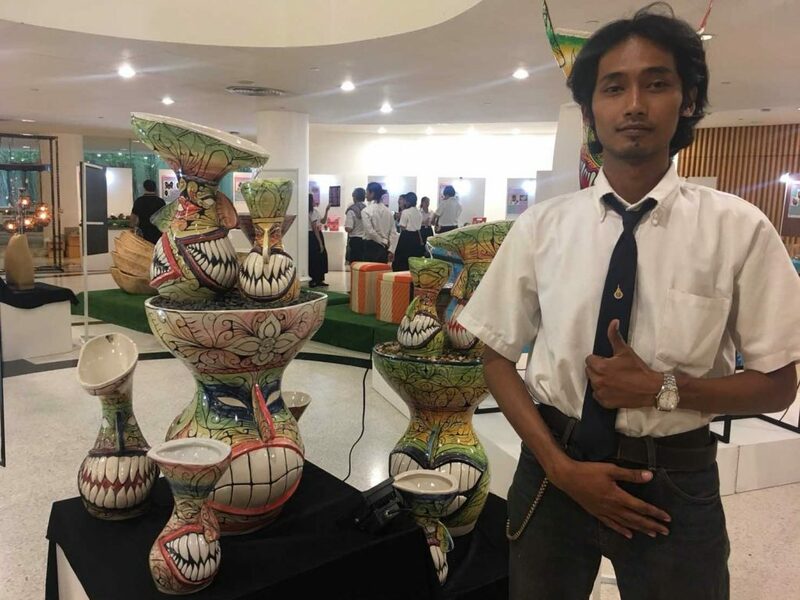 The sample idea of ​​using Thai identity as a concept, “Phi Ta Khon Water Basin”, the work of Mr. Suebsak Srimas and “Food Ceramic ware Kolek boat design” by Ms. Kochaporn Chuchan. Mr. Suebsak Srimas says that in order to add more value and beauty to the water basin, the idea is coming from his personal interest in the Phi Ta Khon (ghost mask) as it is tradition that has been practiced for a long time in Dan Sai District, Loei Province. 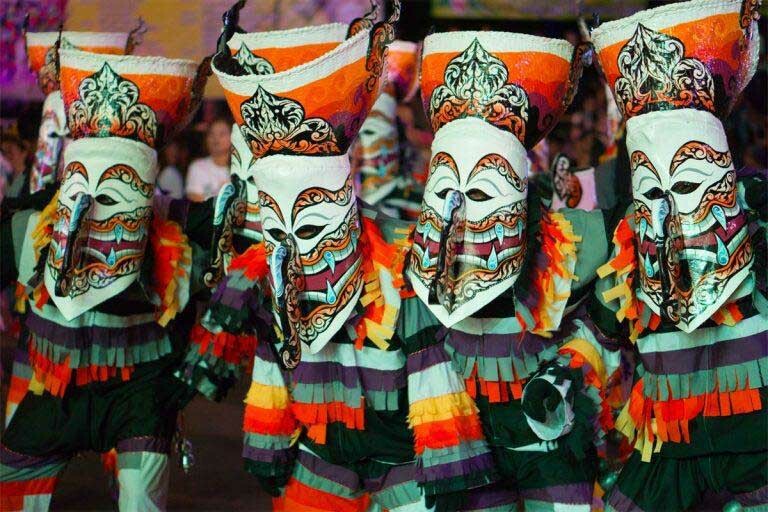 The masks are made from sticky rice steamer, and the dress are made from colorful clothes. He has a chance to join in the Boon Luang parade, where the patterns of the ghost mask has changed from its traditional pattern which are inspired by the nature, such as the eyes of the hawk and the tadpoles eyes. 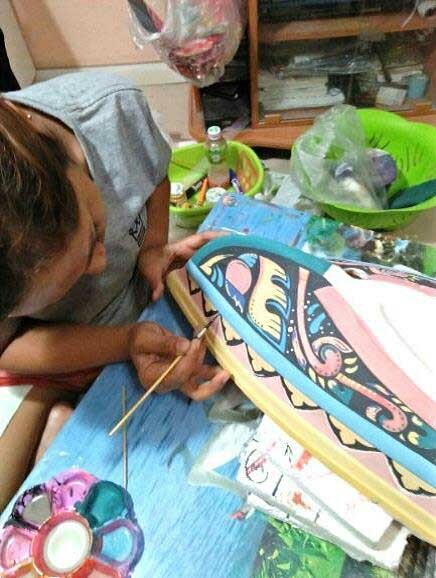 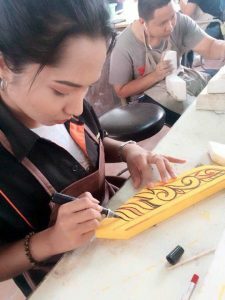 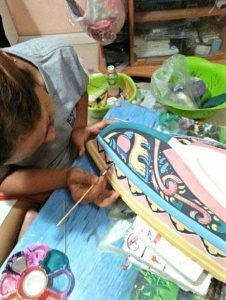 Seeing that this work can help to conserve the art of Thai folk wisdom, therefore he has studied the beautiful and unique patterns of the traditional Phi Ta Khon mask. 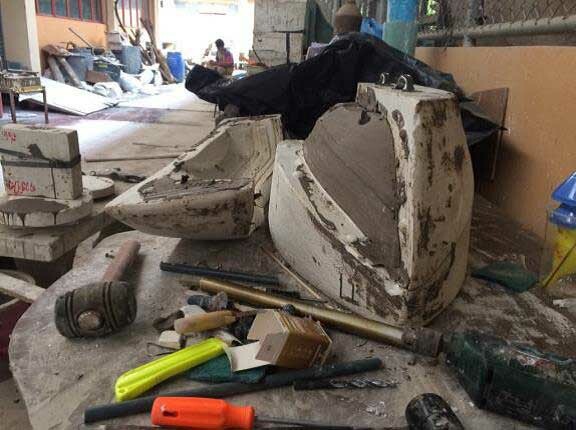 Then using this idea to design and create a ghost mask shaped water basin with beautiful traditional patterns, in hope to encourage an awareness and appreciation of the cultural heritage of the country. Ms. Kochaporn Chuchan says that the food ceramic ware are a product with high demand in the market. The outstanding products should have its usefulness in functionality as well as the uniqueness of the design. 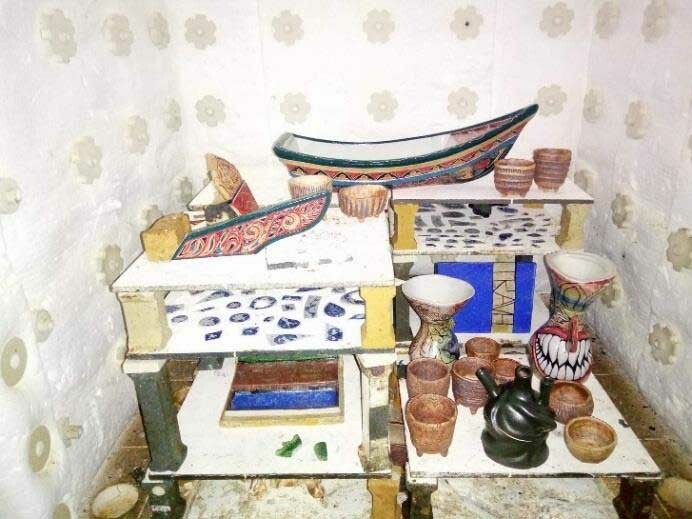 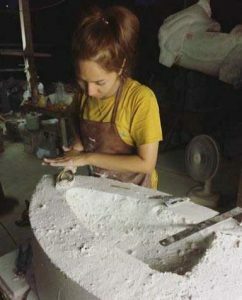 Therefore, she gives an importance in creating an interesting products by making a difference between everyday food ware and Kolek boat ceramic ware. 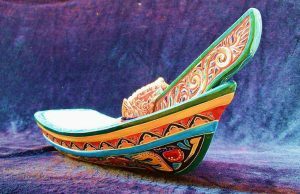 The design of the work is inspired by the the charming and distinctive beauty in shape and pattern design of the Kolek boat. 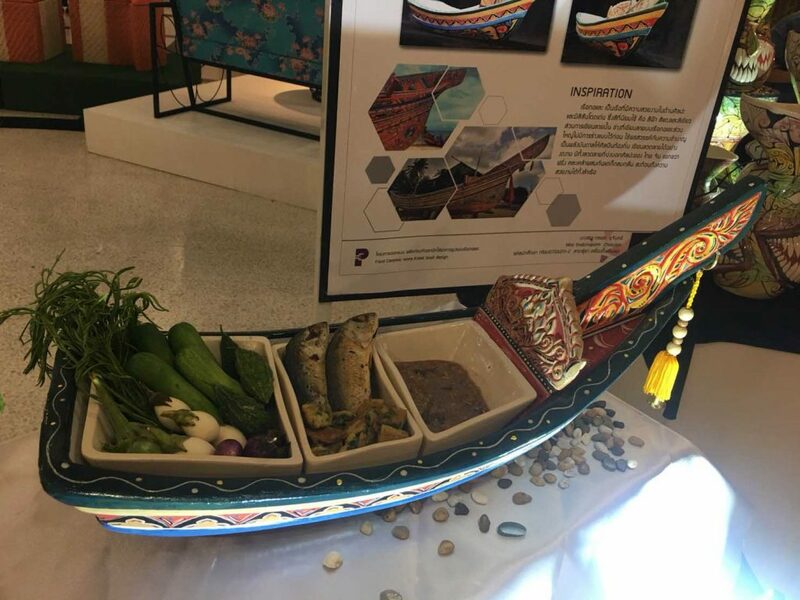 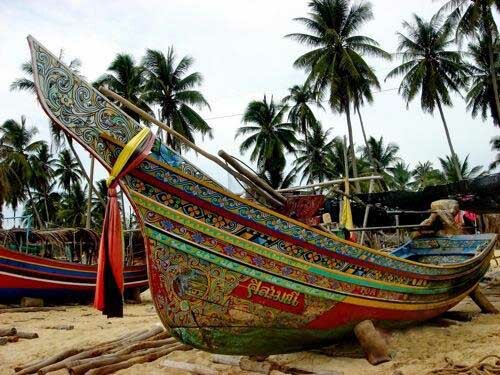 By using and adapting the original design of the Khorat boat to food ceramic ware, the design is still emphasizing the traditional southern heritage, the food ware is suitable for restaurants, hotel, or various banquet. 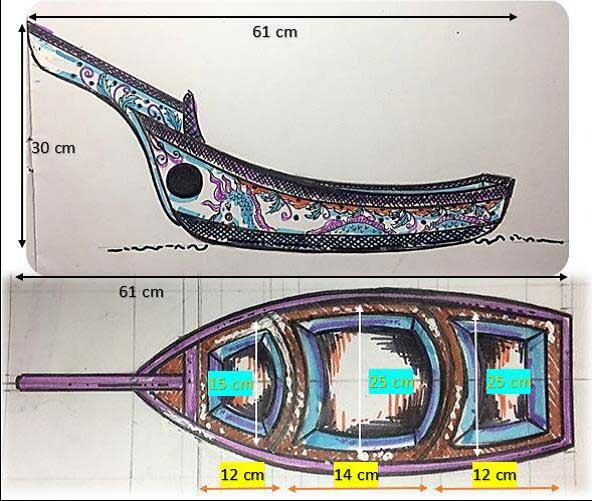 For those who are interested in the products, please contact the work owner for more details. 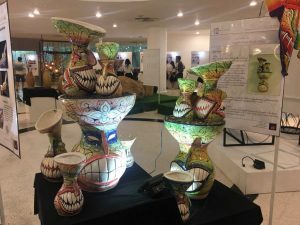 “Phi Ta Khon Water Basin”, by Mr. Suebsak Srimas, Tel. 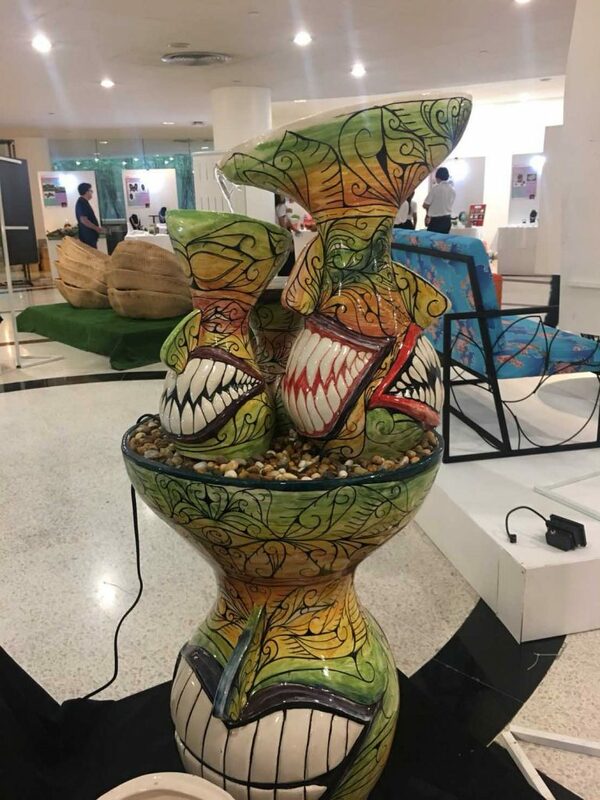 090-9900179. 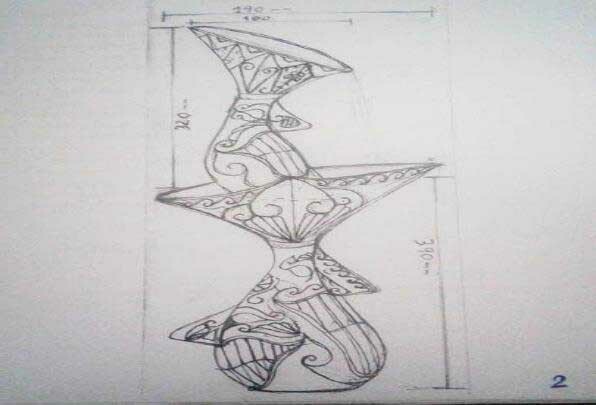 “Food Ceramic ware Kolek boat design”, by Ms. Kasaporn Chuchan, Tel. 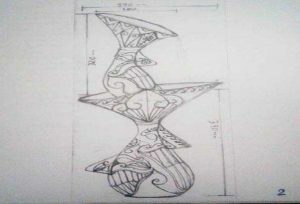 095-6071893.